I am a huge fan of the online photo editing site called PicMonkey. I use it for all of my images and logos I use here on this blog as well as everywhere else I write on the web. 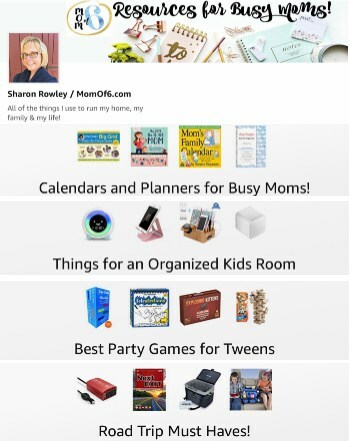 I also love to use PicMonkey for digital scrapbooking! 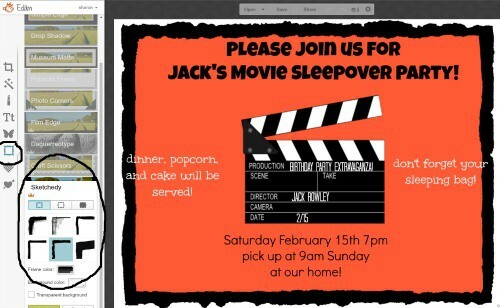 But one of my favorite things to do with PicMonkey is to create invitations, thank you notes, gift tags, and more for kids birthday parties! 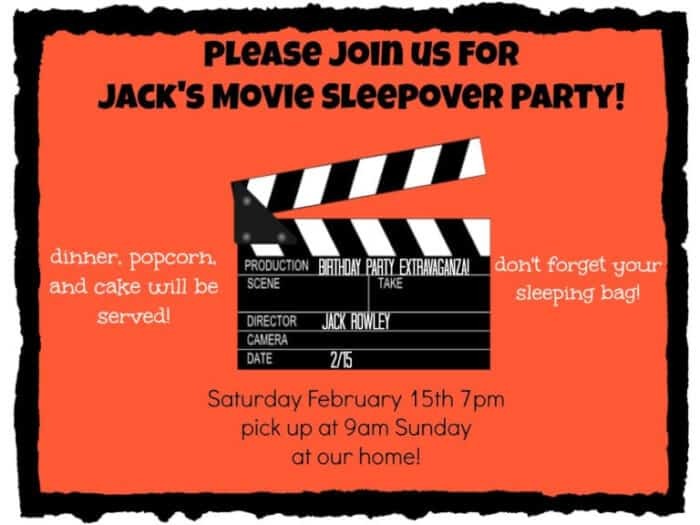 Creating personalized kids birthday party invitations and party stationery is easy, and is just one more way to make your at-home birthday parties special without spending a thing! Some of my very favorite invites to receive are ones that include a photo of the birthday child. If you are throwing a football-themed party, then a photo of your son wearing his flag football uniform is perfect! A girls spa party? Your daughter with her hair wrapped in a towel and cucumber slices over her eyes would be adorable! But if you really want to use some cool artwork or photography- then you need to make sure that the person who created that artwork or image has agreed that it can be used by anyone for personal use without charge. 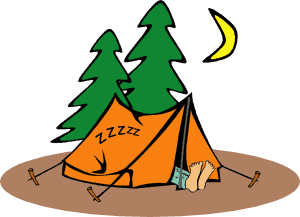 My favorite site to find free clip art for use on my site or kids birthday party invitations is Clker. Use the search bar at the top to look for an image. 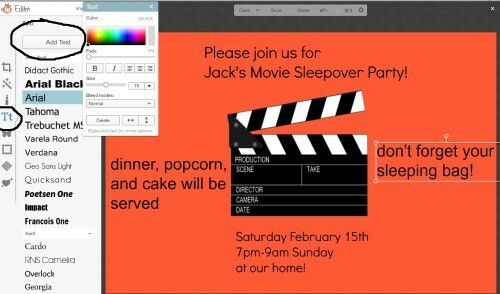 I've used the movie clapper board for a movie party, the sleeping camper for a campout party, and so many more images. You click on the image to select it and then download the image to your computer- it's free and easy. But sometimes you want something cute or unique, and you can't find what you want on a free image site. 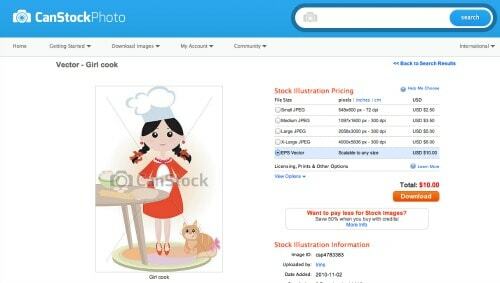 That's when I head over to CanStockPhoto and search for an image that I would like to use. 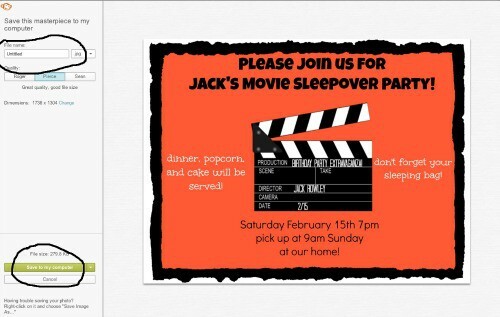 Head over to PicMonkey and select Design, and then select the invitation size you want to create, usually a 4 x 6. 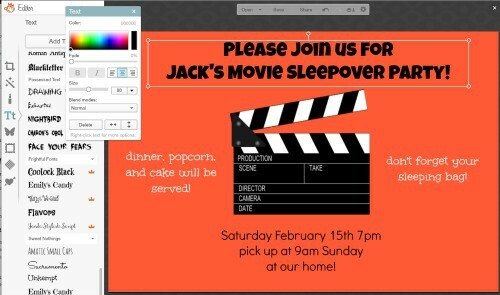 If you want to modify a pre-made invite template, you'll find plenty to choose from, but this tutorial will show you how to create one from scratch. 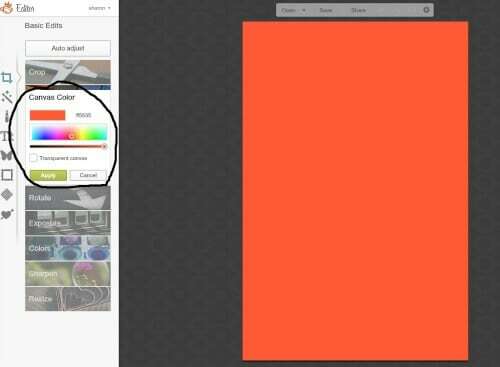 Choose the background color for your invitation, by placing your cursor in the color box and moving it around until you find something that looks good to you. For my example, I was going for a bright, orangey-red. Click Apply. 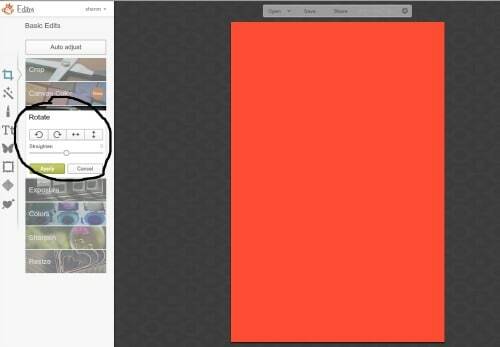 I usually create my invites in landscape mode, so if you want to turn your blank card sideways, select Rotate, and then click on the far left arrow button to turn the canvas. Now it's time to bring in your image. 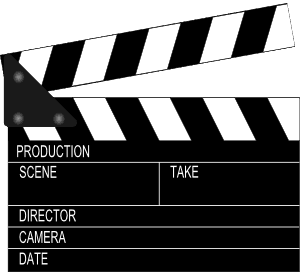 I am using the free image of the movie clapper board that I found over on Clker. 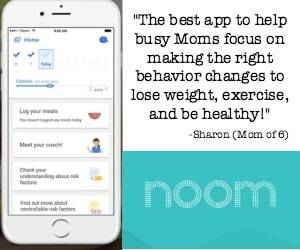 Click on the icon that looks like a butterfly which is the Overlay button, and then select the Your Own button at the top. 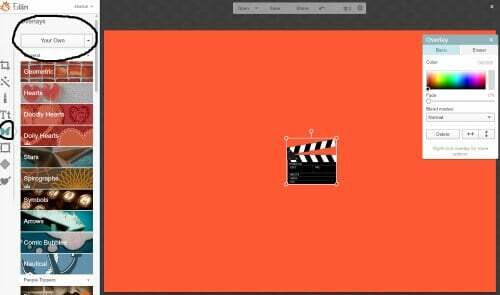 A pop-up box will appear where you can select the image that you saved on your computer for your invite (in my case- the clapperboard). When you click Open, your image will appear over the background. It will be small in size, but don't worry- we can re-size it. Grab one of the corners of your image and pull it to re-size- to make it larger. If your image becomes too blurry- that means it will also print blurry- so be careful about not using an image that is too small in its original size. You can drag your image around on your canvas to place it where you'd like. Now it's time to put in all of that important information about your party! Click on the Tt icon on the left side to open the text window, and click the Add Text button at the top. A text box will appear on the screen which you can drag into the desired position, and then start typing your text in the box. Click on the text inside one of your text boxes to select the text. I like to align my text to the center, which you can do in the text pop-up box, as well as change the color. Along the left side of the screen is a list of available fonts. Click on the font name to change the font in the text box (you'll need to make sure you've highlighted the text first). Play around with different fonts until you create a look that you like! Here's what it looks like after I stylized my text boxes- center aligning them, selecting different fonts and colors, and moving them into my desired positions. I even added text on top of my clapperboard to fit the party theme! 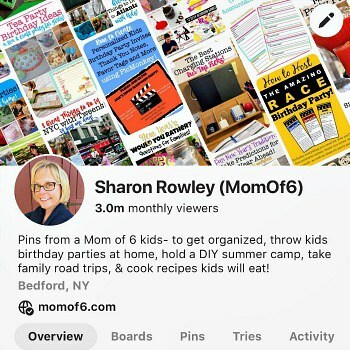 To add a cute border to the entire invite, click on the picture frame icon on the far left side, and then select one of the border styles from one of the buttons. Step 6: Save and Print! Click the Save button at the top of the screen, and then name your file and save it to your desktop! You can then print it and mail it to the party guests, or send it as an email attachment to get the word out about your event! 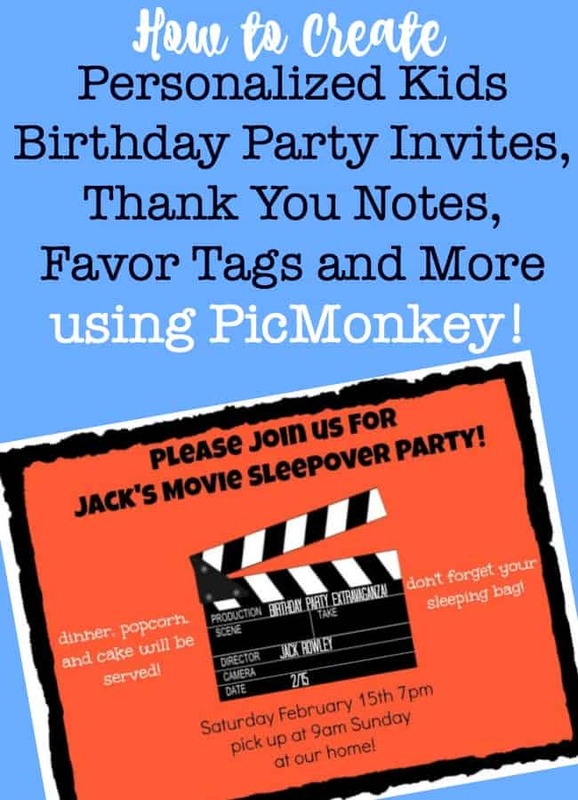 Once you play around with PicMonkey– you will realize that it is so easy to create your own birthday party invitations, thank you notes, favor bag tags, and more! 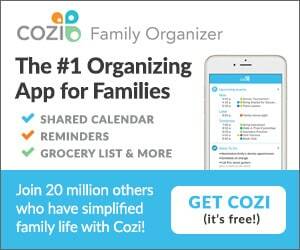 These are great tips – thanks!